Highlights: Car-free, sunny village with compact centre, ski-in/ski-out lodgings, shady snowsure slopes, great position on the Portes du Soleil circuit, leading resort for freestylers (five terrain parks and a super-pipe), plenty of good off-piste, access to the legendary Swiss Wall, and a renowned kids' club. Non-skiers: Aquariaz leisure pool, bowling, skating rink, dog sledding, snowshoeing and snowmobiling. Slap bang in the centre of the Portes du Soleil ski area, Avoriaz (1,800m) has access to some serious terrain – 650km to be exact. The local ski area ain't too shabby either with fast, modern lifts and high, snow-sure slopes receiving around eight metres of powder each winter. Avoriaz is also one of the French greats for freestylers – there are now five snowparks and a super-pipe. 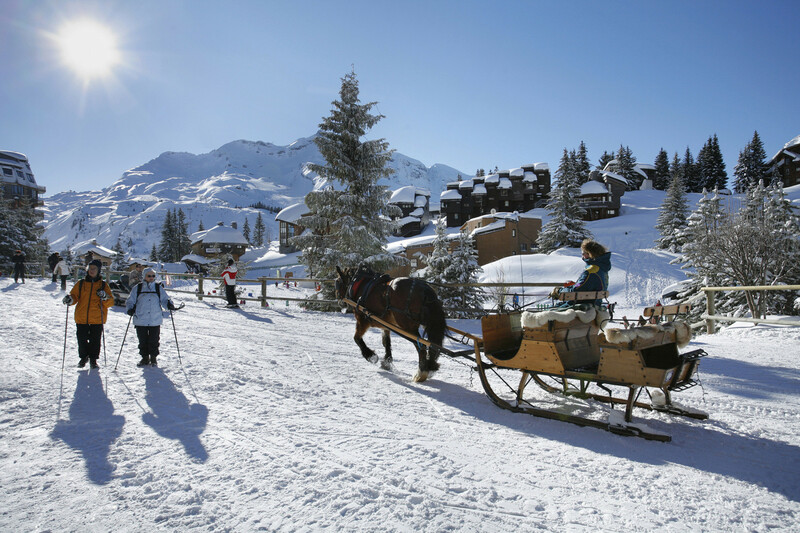 Architecturally, Avoriaz is one of the more modern resorts in the Portes du Soleil but, in contrast, transportation around town is delightfully old fashioned. It is one of the few pedestrianized resorts in the Alps so you won't see any cars here; sleds, snowcats or horse-drawn sleighs are the only form of transport allowed, and skis of course – the resort’s high-altitude means skiing back to your hotel is the norm. Avoriaz has a very narrow selection of hotels and restaurants, but just a lift ride away (with more choice) is the British favourite, Morzine. Get snow reports and powder alarms from Avoriaz straight to your inbox! Experience the thrill of skiing from one country to another and lunching on the border.